An accurate valuation of marital property (both assets and liabilities) is critical to ensure an equitable property settlement is reached in your divorce. 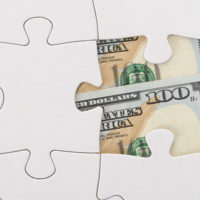 Unfortunately, it is quite common to discover that a spouse has attempted to hide assets to shortchange you in the property division process. A common reason why people attempt to hide property during a divorce is because of the thought that half of their assets are going to be taken from them. It creates a sense of immense loss and people will make questionable choices if they fear losing their property. Another reason is that if a spouse appears to have minimal earnings, it could translate into lower alimony obligations or child support payments. This is because income is a big factor in how support obligations are calculated. There are a variety of methods used by parties in a divorce to try and hide assets. For example, a spouse may simply transfer cash or property to a relative or close friend to “hold” while the divorce is proceeding. Or, they may try to sell assets like stock options or real estate at a below-market price to create a loss. Other more sophisticated methods include the use of shell corporations or even converting cash into Bitcoin, which is an anonymous form of digital currency. You may be tempted to try and hide some of your money or property, especially if you feel as though your soon-to-be-ex-spouse did not contribute to the growth and development of the marital estate. Nevertheless, the ramifications of getting caught far outweigh any benefit of keeping those assets hidden. You may feel like you have developed an ironclad method of hiding your assets, but be aware that experienced divorce lawyers have seen all the tricks in the book and are skilled at finding hidden assets. It’s simply not worth the risk. Transparency is the golden rule in a divorce proceeding. At Lindamood & Robinson, P.C., our team of experienced Houston divorce lawyers take a creative approach to following the proverbial paper trail and utilize advanced forensic accounting techniques to uncover all marital assets. Our objective is to ensure that you receive your fair share in the divorce settlement. This is why you need to contact our Houston divorce law firm today to discuss your case in a completely confidential initial consultation.